As you may have heard by now, the Chevy Volt took top honors at the North American Auto Show this week, winning "Car of the Year." The show takes place in Detroit and the voters are all American or Canadian journalists, so you can be forgiven for suspecting the honor reflects a little favoritism. Domestic cars win the award more often than not. But it's not like this is the first time we've heard good things about the Volt. After all kinds of fretting that the electric car would be a boondoggle, the Volt has mostly lived up to its pre-production hype--winning Motor Trend's Car of the Year, Automobile magazine's Automobile of Year, and several other honors. It's also gotten rave reviews from test drivers at Consumer Reports, among others. So who doesn't like the Volt? So far, the loudest critic is Rush Limbaugh, who over the summer mocked the vehicle because it had a $41,000 sticker price and then, this November, blasted Motor Trend for honoring the Volt even though "not one has been sold." As usual, Limbaugh had left out some important context. That $41,000 price doesn't include tax credits that bring the price down to around $33,000, which GM figures is cheap enough for the upscale consumers most likely to buy it. (GM also has two new all-gasoline cars, the Cruze and the Sonic, that offer high mileage at much lower costs.) And it's true that Motor Trend gave its award to a car nobody had yet bought. That's because the first Volts were on their way to the showrooms. That's what happens with brand new cars, the kind that magazines like Motor Trend frequently honor with such awards. 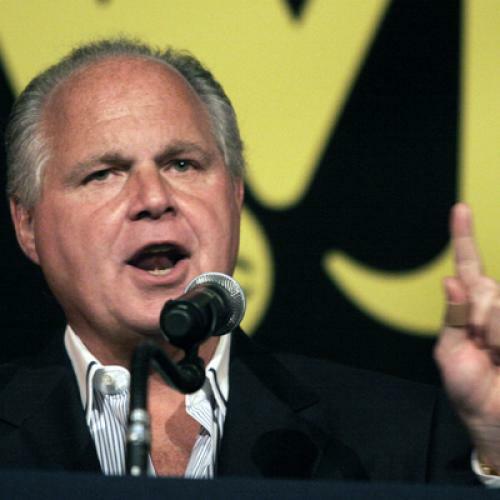 Presumably Limbaugh's real beef with the Volt has nothing to do with the car and everything to do with what it represents: the resurgence of the American auto industry, which reflects well upon the Obama Administration's decision to steer Chrysler and General Motors through a carefully structured bankruptcy. Limbaugh opposed that decision, as did most of the Republican Party, likening it to socialism and predicting the rescue would be a waste of money. But GM is making good cars, Chrysler is finally getting some new product, and the companies are on their way to paying back most, though perhaps not all, of the money taxpayers lent them. It's too soon to know how real, or permanent, Detroit's progress is. A new report from the Congressional Oversight Board confirms that the companies are on a "promising course" but warns of potential pitfalls, not least among them the possibility that the federal government has increased "moral hazard" by setting the precedent of rescuing failed companies. On the other hand, one of the Board's chief complaints seems to be that the federal government has been too eager to get out of the car business. If Washington had retained a larger ownership stake and been more active in decision-making, the report suggests, the rescue might be working even better. Hmmm, more government control rather than less--that's probably not the sort of change Limbaugh and company have in mind. In any event, the long-term viability of Chrysler and GM isn't really the proper standard by which to judge the rescue package. Or, at least, it shouldn't be the only standard. The auto industry crisis coincided with the bleakest period of the Great Recession. Most experts believed that Chrysler and GM would not be able to obtain bankruptcy financing on their own and that the resulting liquidation could shock the economy in the same way the failure of Lehman had. Among other things, such a collapse could have devastated the suppliers upon which Ford relies, taking down that company even though it was in much stronger position. (For the record, Ford's Explorer won "Truck of the Year.") Predictions by the Center for Automotive Research suggested job losses of up to 2 million. Even smaller losses would have been devastating. The Obama Administration didn't spare the industry or its employees altogether. Far from it. Obama forced the companies to restructure in ways that shrank their workforces significantly--and, contrary to complaints that it went soft on the unions, it pushed the United Auto Workers to accept a deal in which new laborers will be paid far less than old ones (and less, even, than some counterparts at foreign-owned, non-union factories in the South.) But the rescue did likely avert even larger job losses, the kind that could have plunged the Midwest if not the entire country into Depression-like conditions. And now the companies are hiring again. That's not bad for government work. Or even non-government work. Over to you, Rush.